A source very close to the President confided in The PUNCH on Sunday that Buhari would not form any cabinet until the “rot left behind by the past administration” is cleared. “Mr. President is reluctant to build on a rotten foundation he inherited from the Peoples Democratic Party administration. You cannot even begin to imagine the situation we have met on the ground; almost everything is in a state of decay. “There is absolutely no way the new government can hope to achieve anything long-lasting without first building a new foundation,” the source said. The source added that clearing the PDP rot was not a month’s job and said those that had been heckling the President over lack of cabinet were politicians looking for jobs. “They have tried doing it other ways and those haven’t worked. They only want their cronies appointed to ministerial posts anyhow and they are fuelling the agitation,” the source said. He also said Buhari was taking his time to know the ministries that would survive government’s planned pruning and the desire to cut cost of governance. 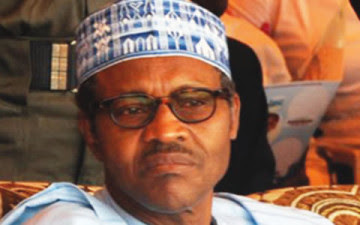 The source likened President Buhari’s plan of action to that of a doctor, who first has to break a poorly set bone afresh, before resetting it to allow for smooth and proper growth. Over the past week, Buhari has come under criticism because he had yet to appoint his cabinet members, despite having more than three months since his election, including a month since his inauguration. The President was sworn in on May 29, exactly one month ago today. Responding to the criticism, the source pointed out that it would be impossible to appoint ministers to portfolios without first knowing which portfolios exist and which will be abolished. He said, “The President plans to cut down the number of ministries and parastatals. He wants to cut down the cost of running government. He wants to make sure that all the loopholes that enable corruption to thrive are blocked. All these are procedures that require time and careful planning. You cannot do it in a rush. He added that Buhari could not have realistically commenced the process of forming a cabinet without first receiving the full report of the transition committee and ascertaining exactly the situation his government faced. The source also denied news reports which stated that President Buhari’s lack of cabinet appointments had grounded the government, insisting that civil servants had been supervising the day-to-day running of ministries and that Permanent Secretaries of the various ministries all have full access to the President. The source concluded by referring to the current crisis in the National Assembly as one more reason why forming a cabinet would be impossible until further notice. “Look at how they are fighting among themselves. The Senate has now adjourned till July 21. That means no one to scrutinise or approve any ministerial list until the end of July,” he submitted. But when reminded that the Senate had agreed to reconvene to consider the President’s ministerial nominees as soon as such list was ready, the source asked our correspondent to await the President’s intervention in the crisis between the party and the National Assembly. “The President wants to walk his talk on stable politics and being a leader for all. He has a plan for the National Assembly,” he said.